Welcome to the 2016 Award Presentation, while the old computer crunches the votes, we highlight our favourites from the year. Welcome to the 2016 Award Presentation, whilst the old computer crunches through your votes, we highlight our favourites (also Mods & Apps) from the year. Armello is a swashbuckling adventure that combines the strategic play of card and board games with RPG elements. As a hero from one of the clans of Armello, you'll quest, scheme, explore, vanquish monsters, and face off against other players, with one ultimate end goal in mind — storming the palace and becoming King or Queen of Armello. Armello is League of Geeks’ attempt to revolutionise digital board and card games, whilst providing players a rich world within which they can craft their own stories of epic adventure. Brigador is an isometric vehicular action game. Choose from many vehicles and weapons to suit your play style, and face off against the occupying factions. Discover tactics and unlock new options as you clear the city or die trying... Then do it all over again. Mordhau is a multiplayer first person slasher, with deep character and equipment customization and a focus on fluid melee combat. Epistory immerses you in an atmospheric action / adventure game where you play a girl riding a red giant fox who clears out an insectile corruption from a beautiful origami world. As you progress and explore the fantasy world, the story literally unfolds and the mysteries of the magic power of the words are revealed. Available on PC, Mac, Linux + Free Demo! Select a hero and battle your way to the bot­tom of the Gungeon by surviving a challenging and evolving series of floors filled with the dangerously adorable Gundead and fearsome Gungeon bosses armed to the teeth. Gather precious loot, discover hidden secrets, and chat with opportunistic merchants and shopkeepers to purchase powerful items to gain an edge. Ever felt like building a factory? Factorio is a 2D creative game about mining resources, using robotic arms to move stuff, transporting things on transport belts, automating production with assembling machines, researching technologies, exploring your environment and defending from hostile creatures. 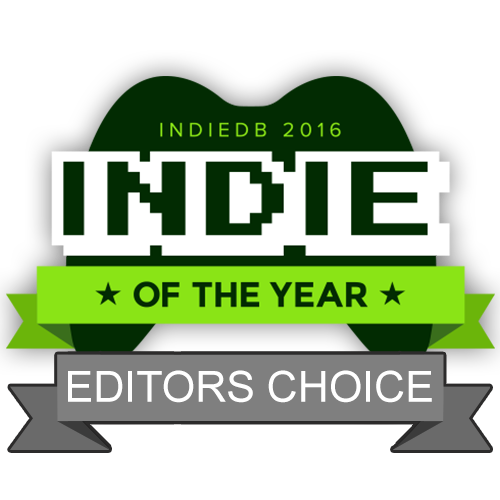 That wraps up our editor's choice, Be sure to have your game on site for consideration for the 2017 awards. The Players Choice Upcoming Announcement will be on December 27th. Happy holidays, see you then! Do we know when the SlideDB Editor's Choice will be out? 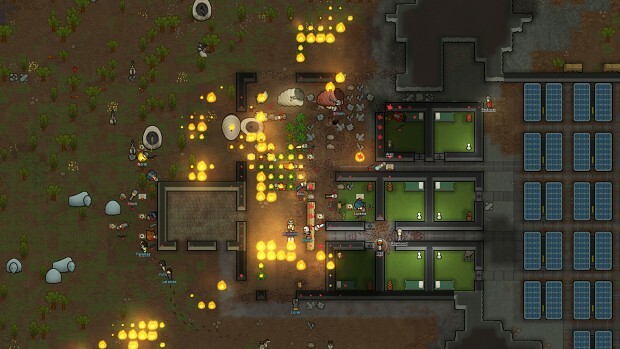 Rimworld is pretty amazing. Congrats to the winners! I notice IndieDB doesn't archive posts of projects the editors like. I don't think people would appreciate the favouritism shown to big projects if they actually knew how rigged this was. I like a few lol. Her Majesty's SPIFFING - I remember this title good from Kickstarter's time. I am happy it's done and good! FACTORIO - game in progress... from years ;) One day I'll try. Grats to all winners! Congrats to all. Hopefully Gray Destiny will win the Adventure category in the upcoming Adventure game. *Fingers crossed*.